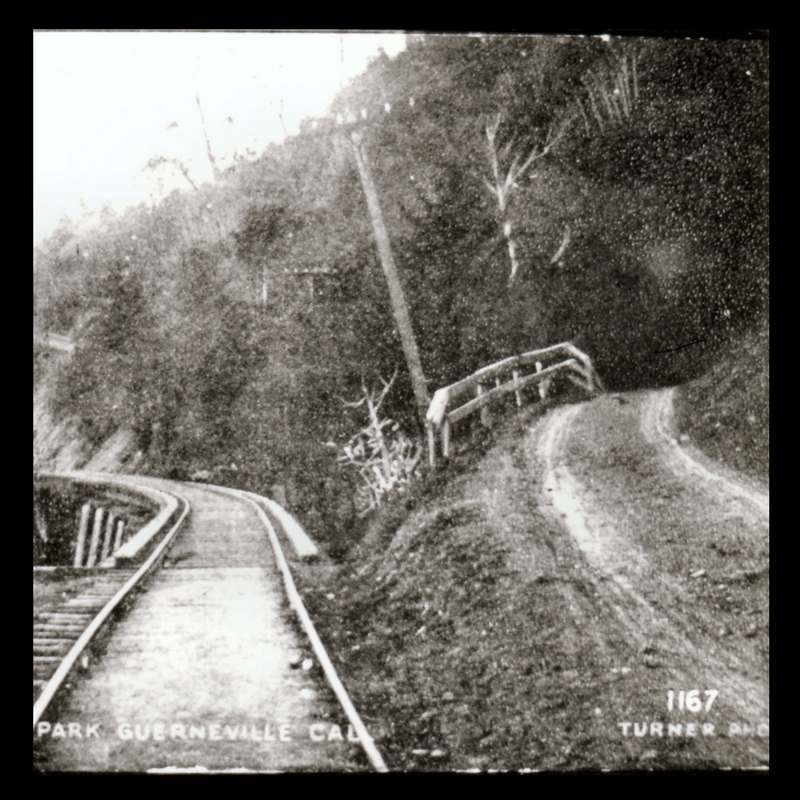 Future’s past of Guernewood Park along the Russian includes a tiny strip of land many of us pass everyday not knowing its significance. 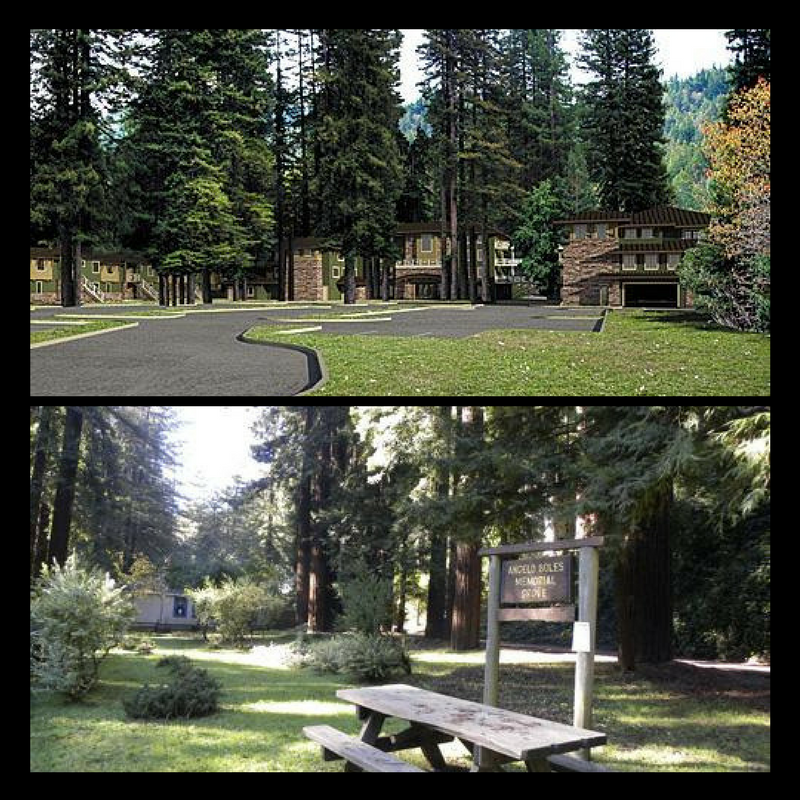 It is sandwiched between Highway 116 and Guerneville Lane next to the Guerneville Bible Church. 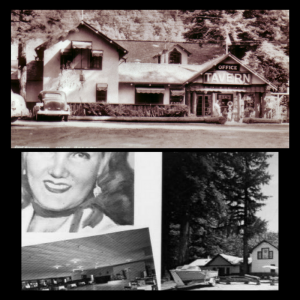 The Angela Boles Memorial Park (bottom photo) celebrates the man who once owned the entire area across the road where a funky restaurant, bar and campground known as Ginger’s Rancho existed. 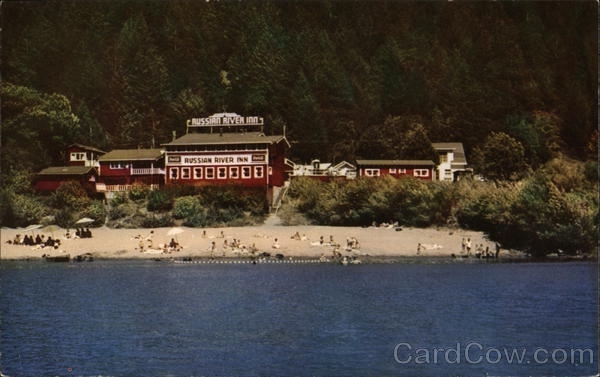 Before that it was the site of the Guernewood Park Hotel, which burned down a long time ago. 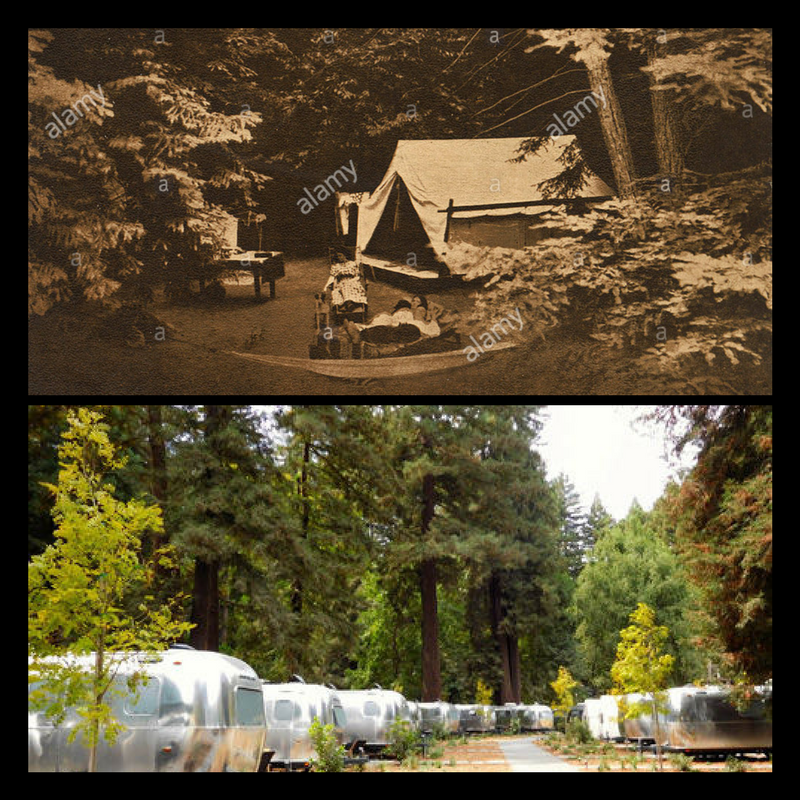 Guernewood Village, then and now, shows campers relaxing by the open pit fire next to their tent in the early part of last century along the Russian River. Guernewood Village preceded Guernewood Park and existed behind the present-day Garden Grill. 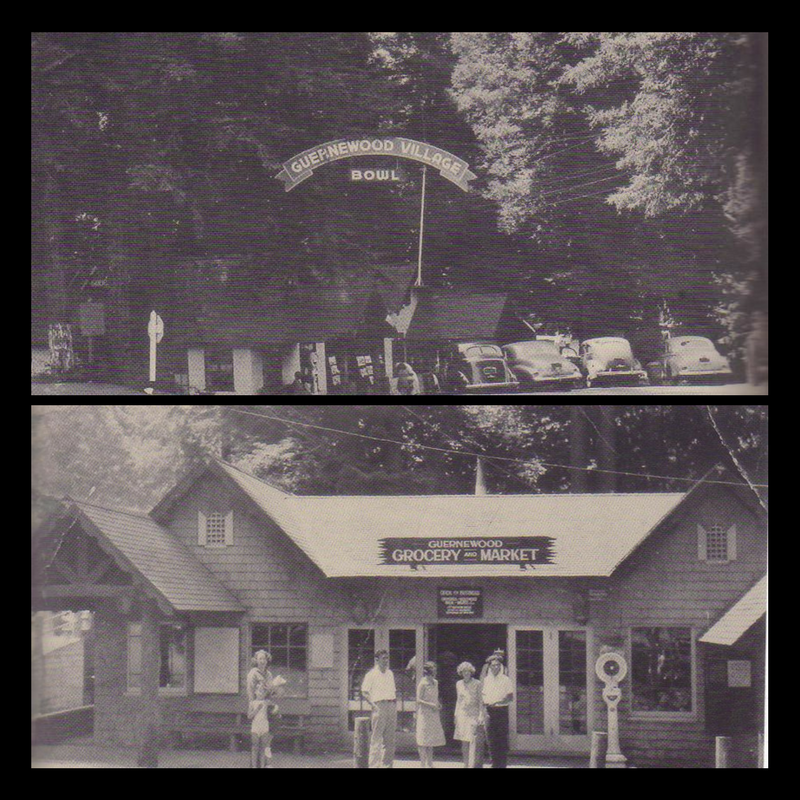 Guernewood Village, which was established in the 1920’s, existed prior to Guernewood Park and was located north of Highway 12 (now highway 116). The top photo (early 1940’s) depicts the entrance to the village with Hulbert Creek running behind it. 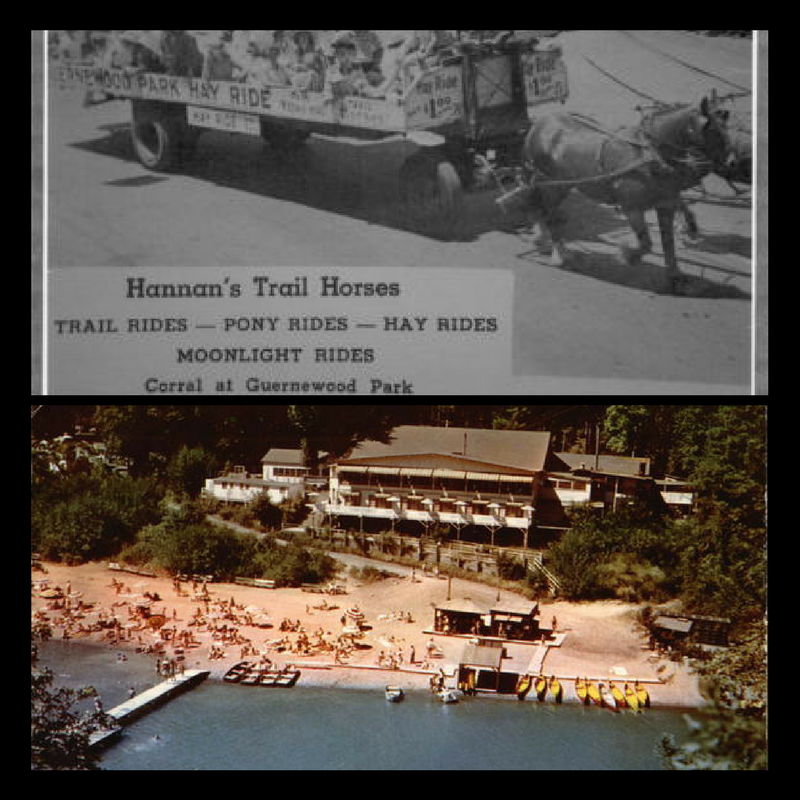 As you strolled under the sign, an amusement walk led the way to a cafe, various game booths including Skee-Ball and a baseball toss with milk bottles. Further down the lane would be an indoor bowling alley, an outdoor amphitheater where some of the Big Bands played. The most popular local band was the Harry Davis’ Guernewood Village Bowl Orchestra. 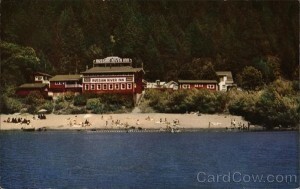 Before the 1950’s, one of the largest resorts along the Russian River was Guernewood Village, which should not be confused with Guernewood Park. The former was on the north side of present day Highway 116 while the latter was on the south side. The top photo on the left depicts the Old Monte Rio Road, which was also known as the Monte Rio Highway, connecting Monte Rio with Guernewood Village. Also in the same pic is the gated entrance “To The Height” that was a summer home development and is now the intersection of Lover’s Lane. 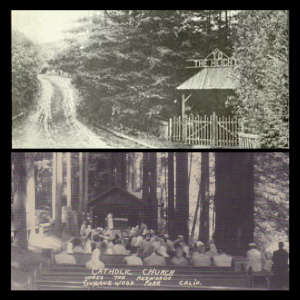 Just east of the gated community and Lover’s Lane was the outdoor Catholic Church. The bottom photo shows a 1954 Sunday service in Guernewood. 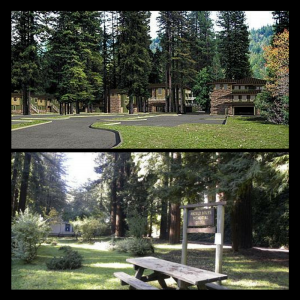 During the summer months, the regular indoor worship sites such as St. Elizabeth’s in Guerneville, St. Catherine’s in Monte Rio, and St. Colman’s in Cazadero were full to capacity. 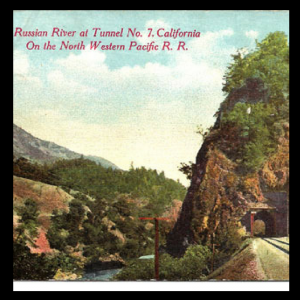 During the early days, the North Pacific Coast R.R. (later the North Western Pacific R.R.) 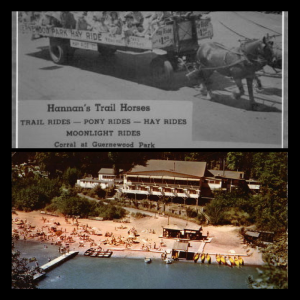 would take you from the ferry building at Sausalito on a four-hour trip through San Geranimo Valley to Point Reyes Station, Valley Ford, Freestone, Occidental, Monte Rio and eventually to Guernewood Park and beyond along the Russian River. In 1865, George Guerne, a young Swiss immigrant, bought a sawmill, and in 1870 Stumptown was renamed Guerneville in his honor. 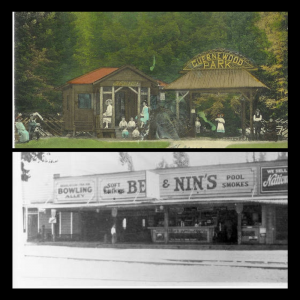 He also purchased adjoining parcels, which became known as Guernewood Park. 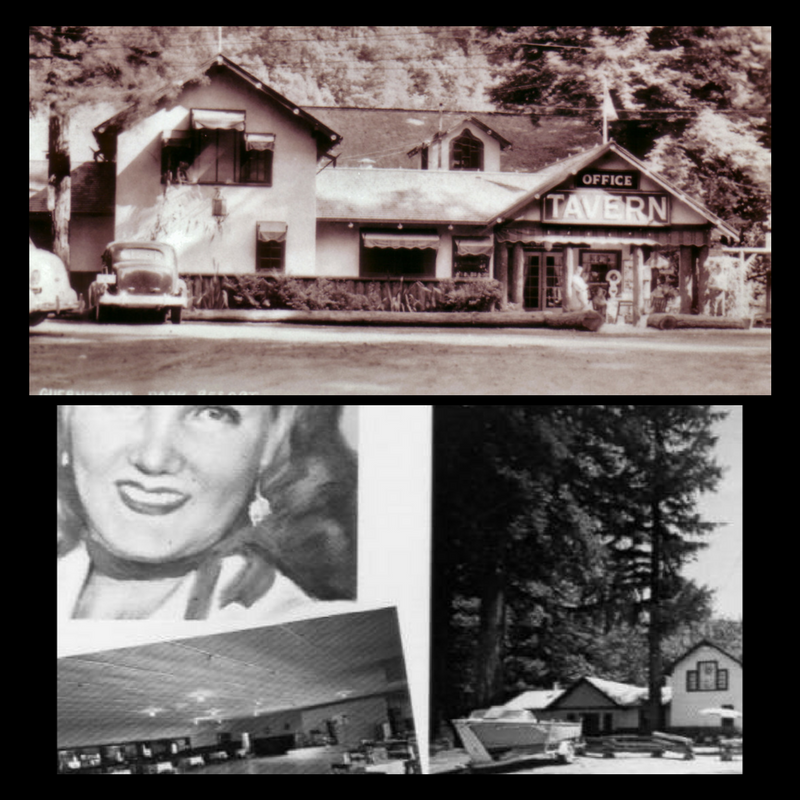 The unincorporated subdivision, which rested west of the main town, possessed a tavern as well as a dance hall where some of the Big Bands performed in the 1930’s &1940’s. 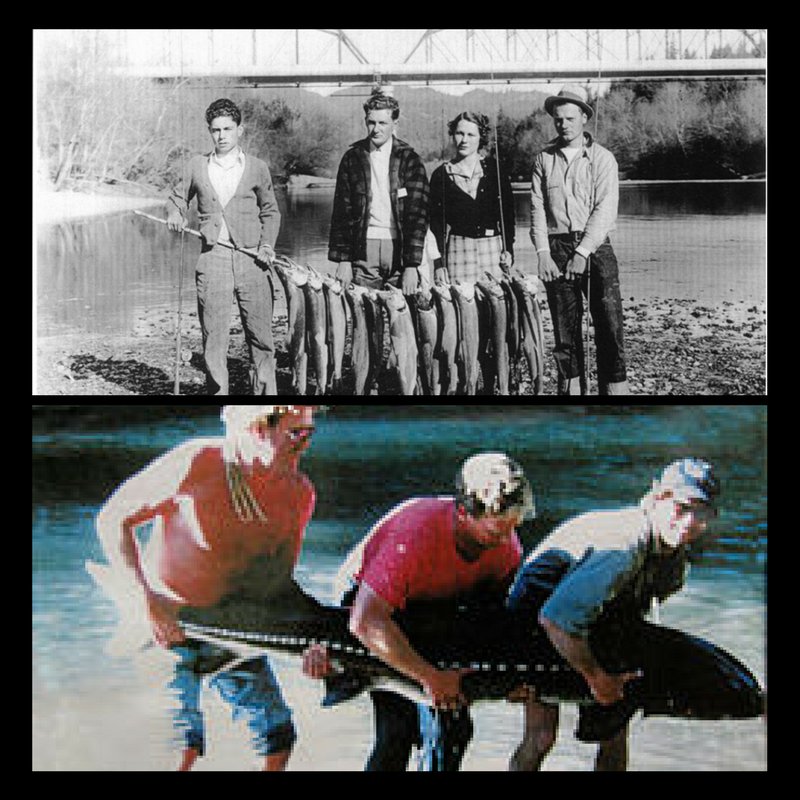 But the most popular orchestras were homegrown such as the Harry Davis Orchestra and the Castles Family Band. 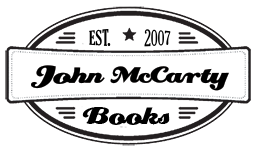 To receive the latest issue of FELLOW BOOK BENDERS by John McCarty. Website by Robin Monroe Designs | © 2007 - 2018 by John McCarty, All Rights Reserved.